Every great story involves a quest. In J. R. R. Tolkien's The Hobbit, Bilbo Baggins ran from the door at a quarter till eleven without even so much as a pocket handkerchief and launched on an adventure that would change his life forever. Alice stepped through the looking glass into Wonderland; Lucy, Edmund, Susan, and Peter stumbled through the wardrobe into Narnia. Abraham left his country, his people, and his father's household to follow the most outlandish sort of promise from a God he'd only just met, and he never came back. Jacob and his sons went to Egypt for some groceries and four hundred years later the Israel nation pulled up stakes and headed for home. Peter, Andrew, James, and John all turned on a dime one day to follow the Master, their fishing nets heaped in wet piles behind them. 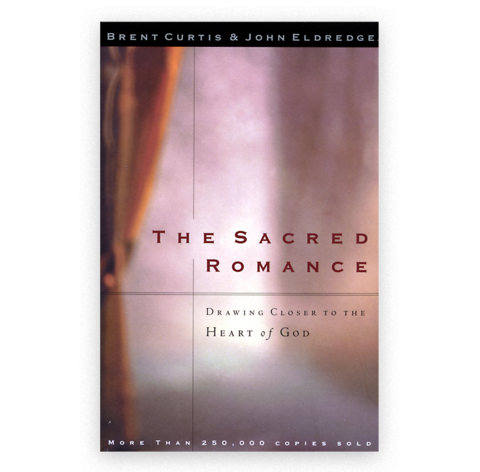 The Sacred Romance involves for every soul a journey of heroic proportions. And while it may require for some a change of geography, for every soul it means a journey of the heart. The choice before us now is to journey or to homestead, to live like Abraham, the friend of God, or like Robinson Crusoe, the lost soul cobbling together some sort of existence with whatever he can salvage from the wreckage of the world. Crusoe was no pilgrim; he was a survivor, hunkered down for the duration. He lived in a very, very small world where he was the lead character and all else found its focus in him. Of course, to be fair, Crusoe was stranded on an island with little hope of rescue. We have been rescued, but still the choice is ours to stay in our small stories, clutching our household gods and false lovers, or to run in search of life.